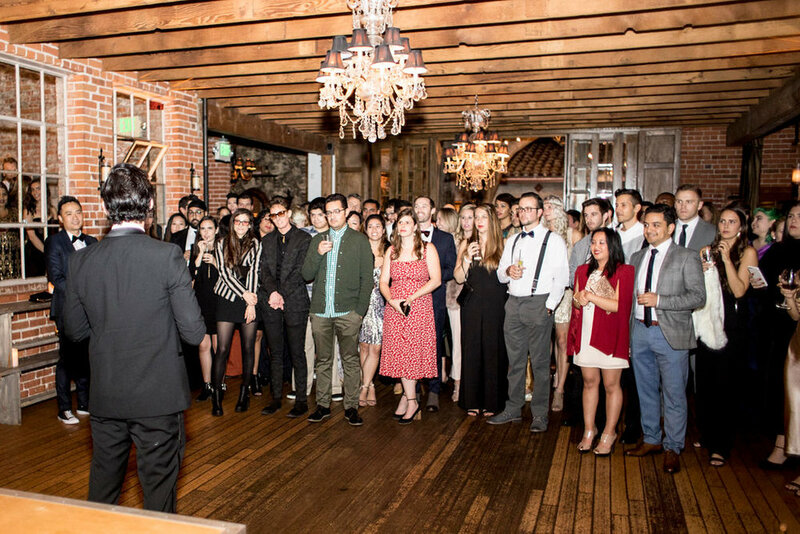 The Carondelet House was filled with warmth and charm, creating a beautiful atmosphere for the Omaze Holiday Party. 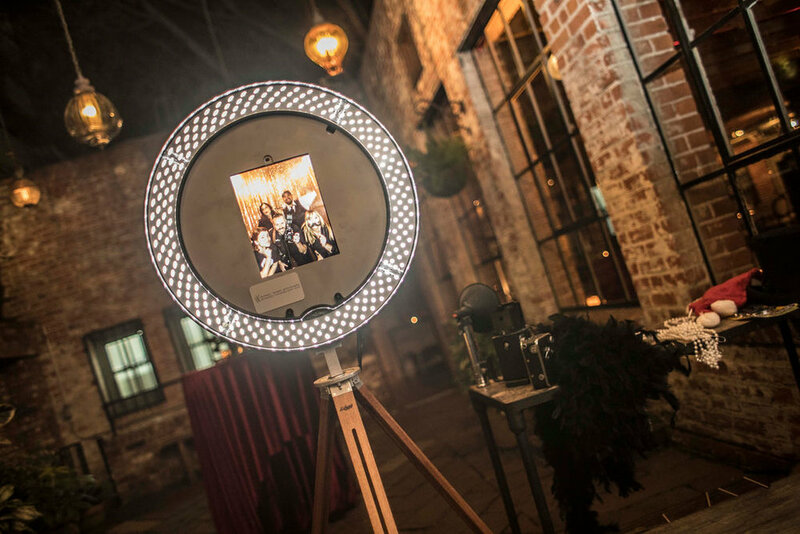 Guests were treated to an unforgettable experience as they were wowed by all of the surprise elements that were planned for the night. 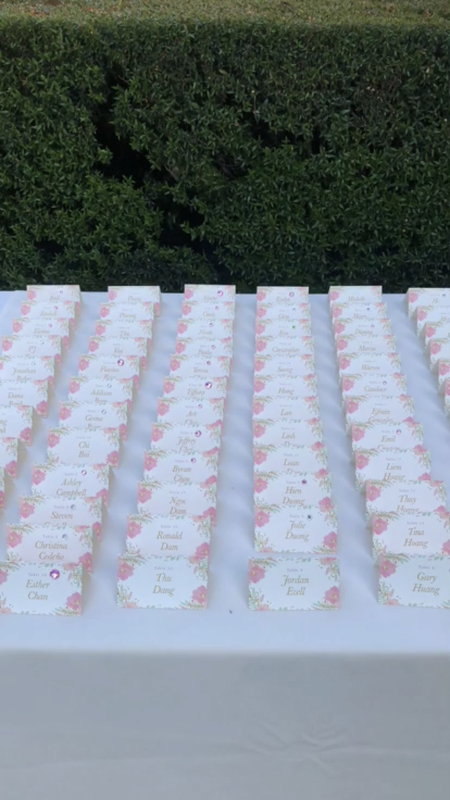 From Mark Paskell to Sirena Martell, jaws dropped as all were stunned by the talented magician and tarot card readings. 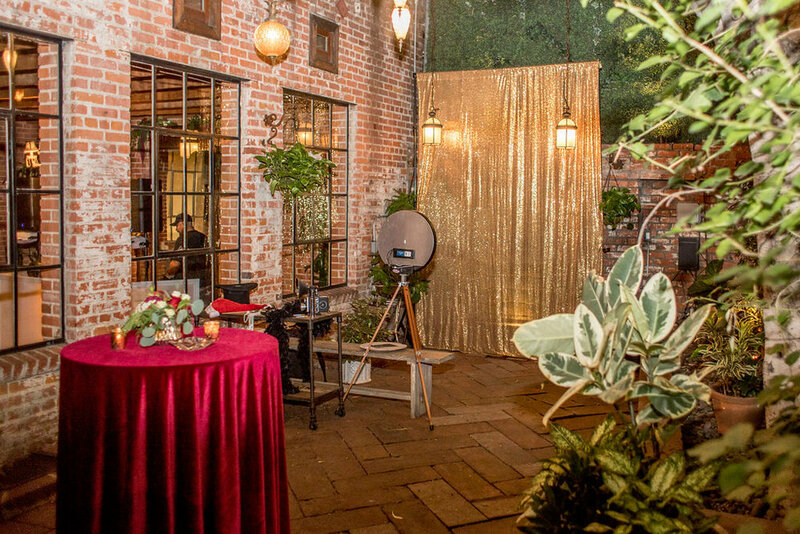 In between acts, guests dined on delicious appetizers and captured the night through some photo booth fun! 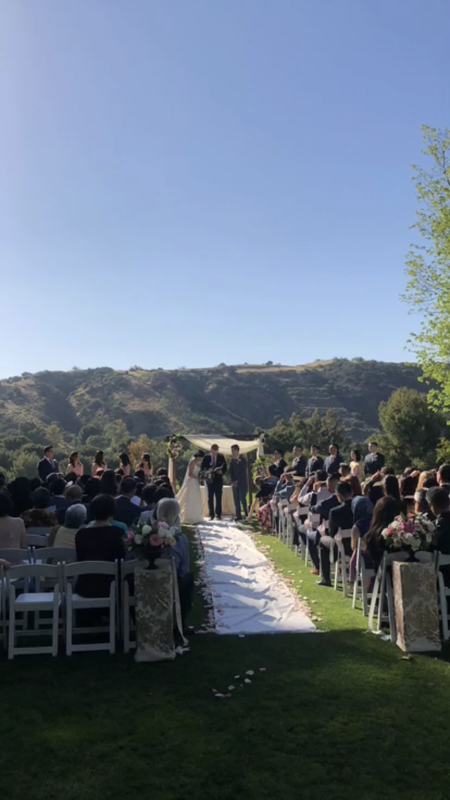 Witnessing the love between Jennifer and Ryan, family and friends were gathered in Malibu for an outdoor ceremony at Calamigos Ranch. 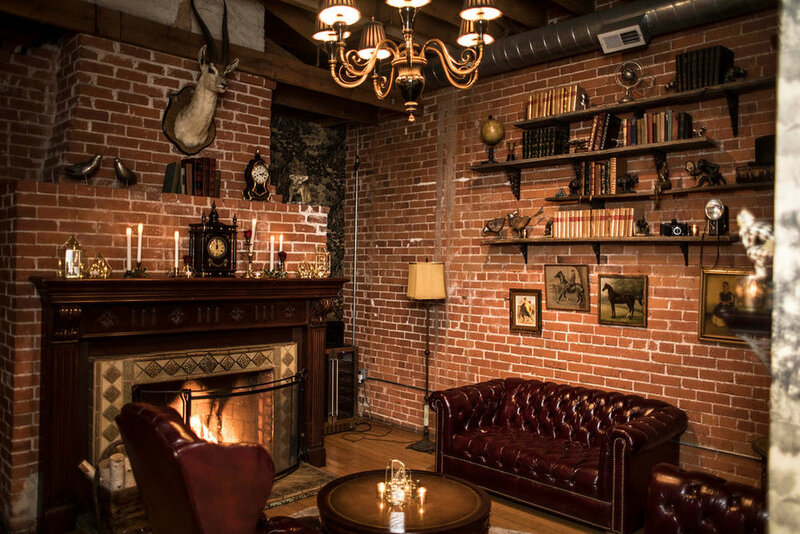 Following their first kiss, all mingled during a lovely cocktail hour with ambient music. 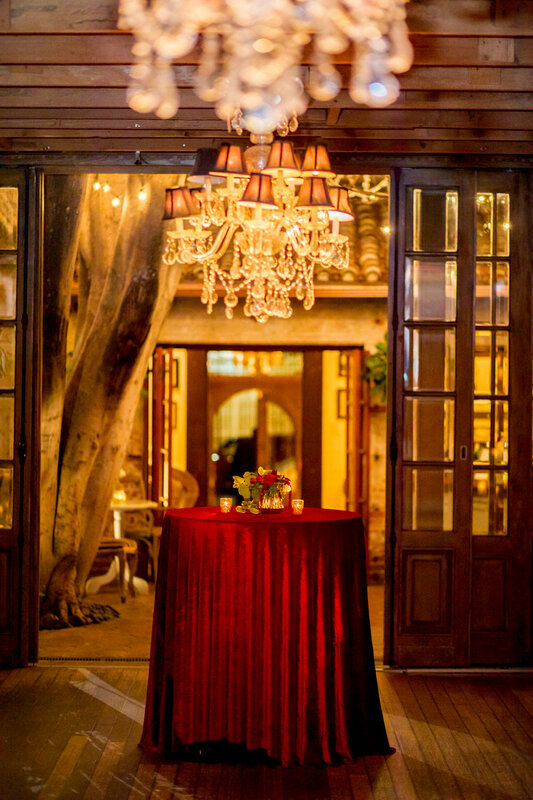 Concluding the appetizers, each of the guests were welcomed into the Redwood Room for a reception. 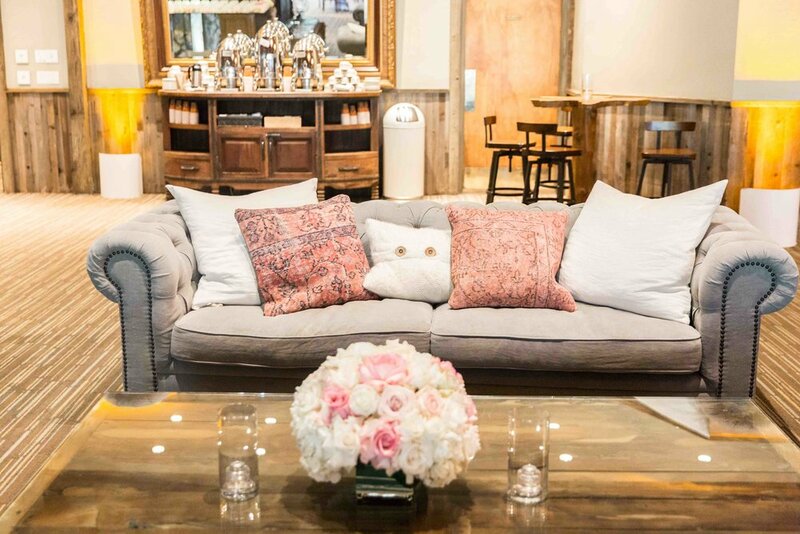 The decor indoors was absolutely breathtaking. 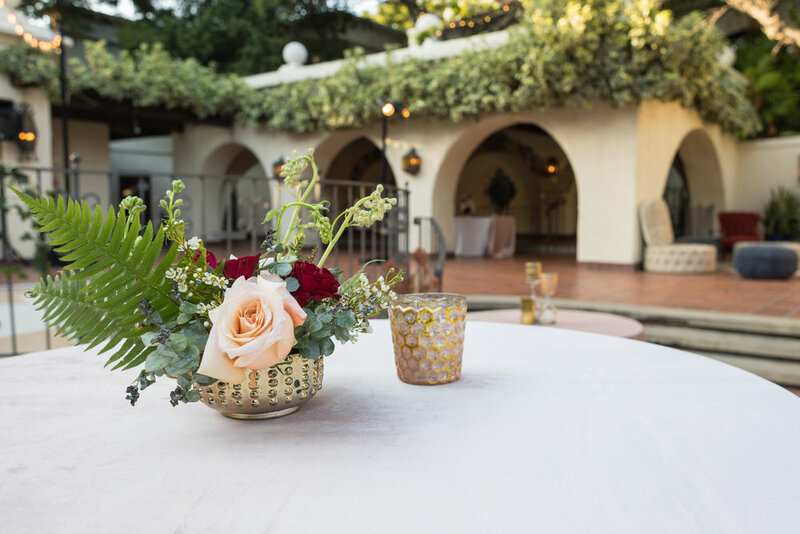 From the floral arrangements to the votive candle lighting, this day was truly magical. 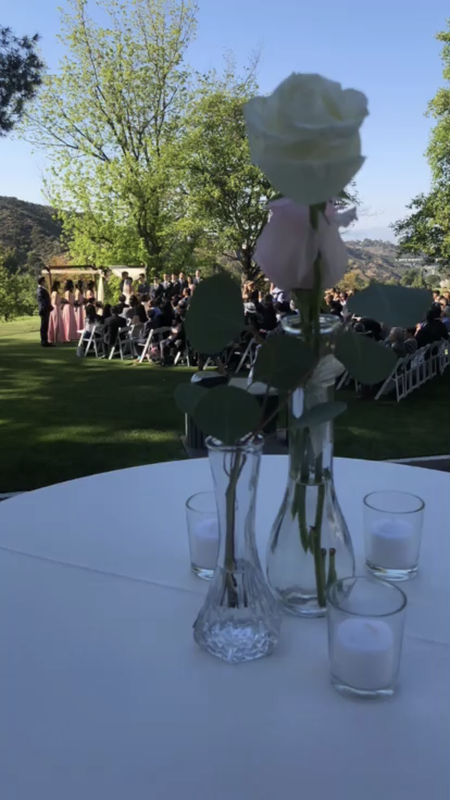 To top it all off, some surprise guests stopped by as the bride and groom were serenaded by their alma maters band. 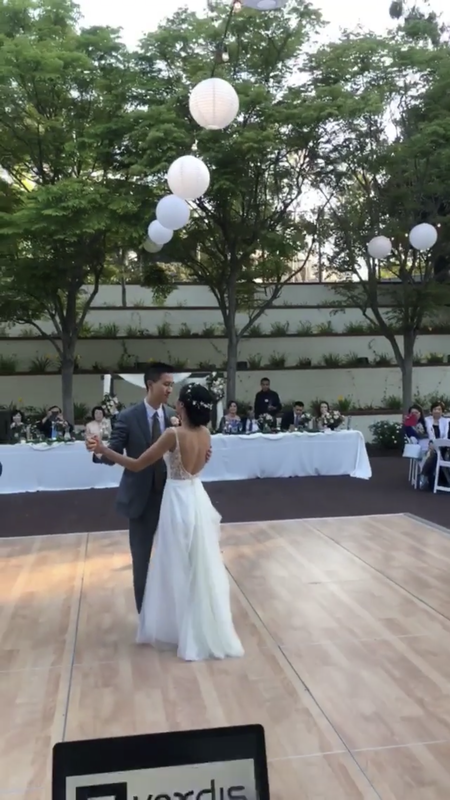 Cheers to Jennifer and Ryan and their love together! 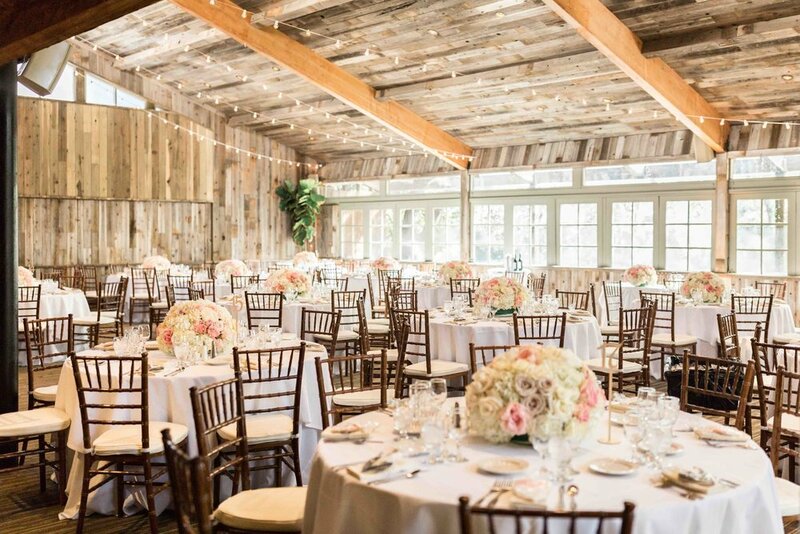 Facing the breathtaking mountain side, white garden chairs were lined together for Teresa and Hoang’s wedding day celebration. 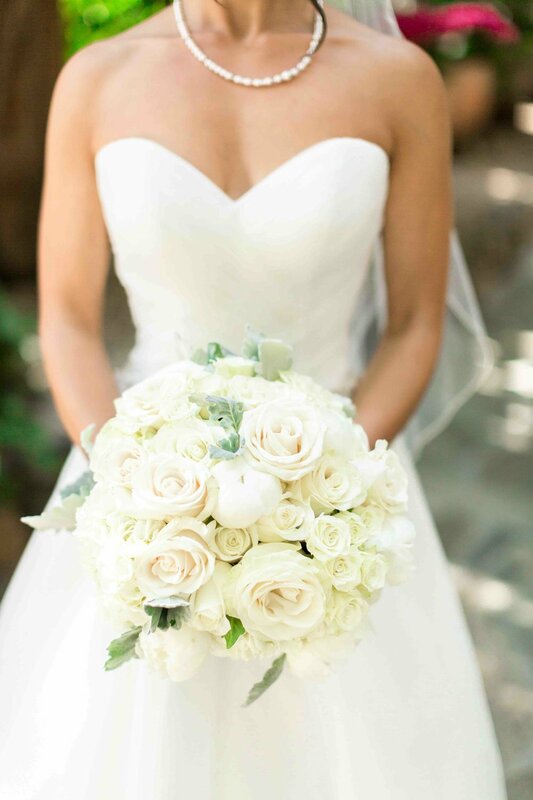 Teresa walked down a white aisle runner, where she met her husband-to-be under a rustic arch with floral arrangements clustered on the sides. 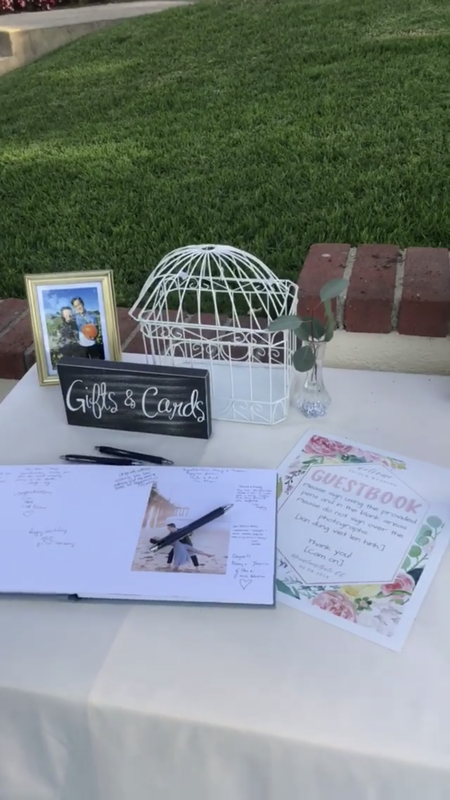 Sipping on cocktails, guests shared their wishes and advice to the newly wedded couple, as they wrote down their thoughts in Teresa and Hoang’s photo album. 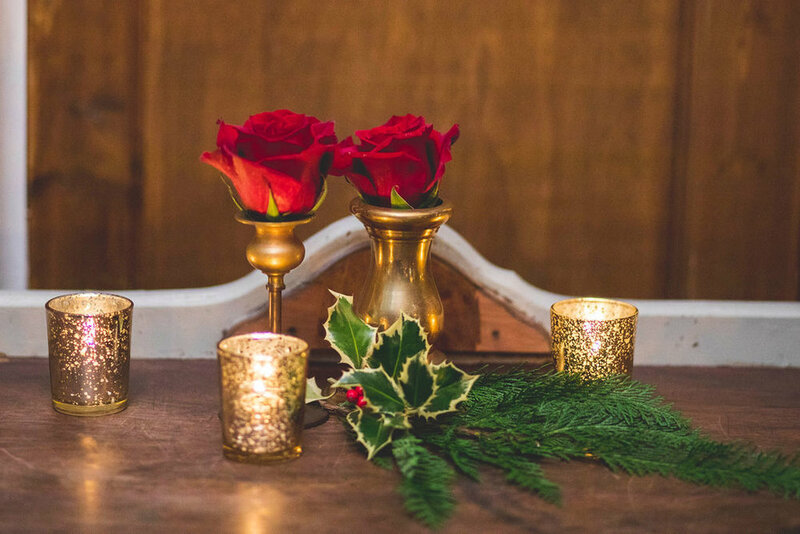 The day was sealed with dancing under the tree twinkle lights and joyous times together. 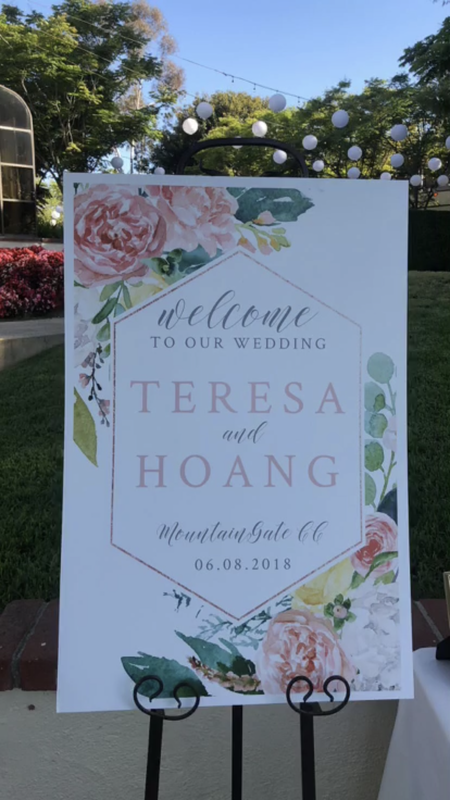 Congratulations again to Teresa and Hoang, we wish you both the best! 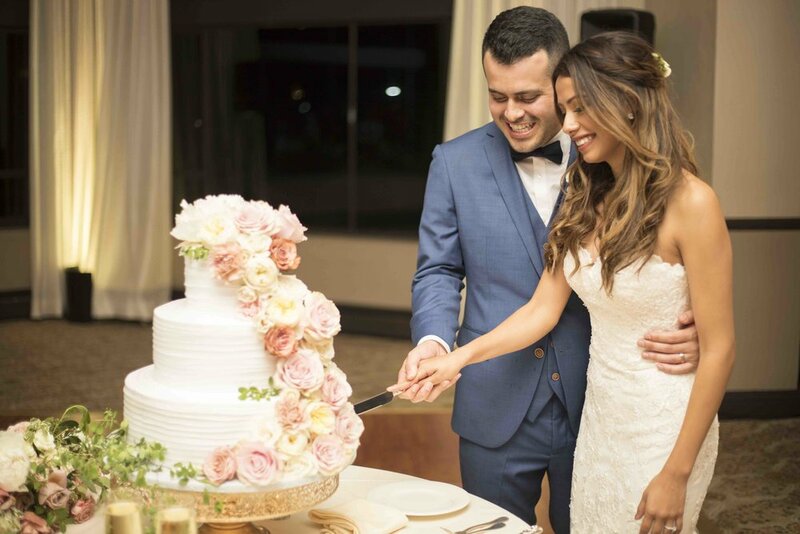 When planning the wedding for this couple's big day, they knew a venue overlooking the water was a must have! 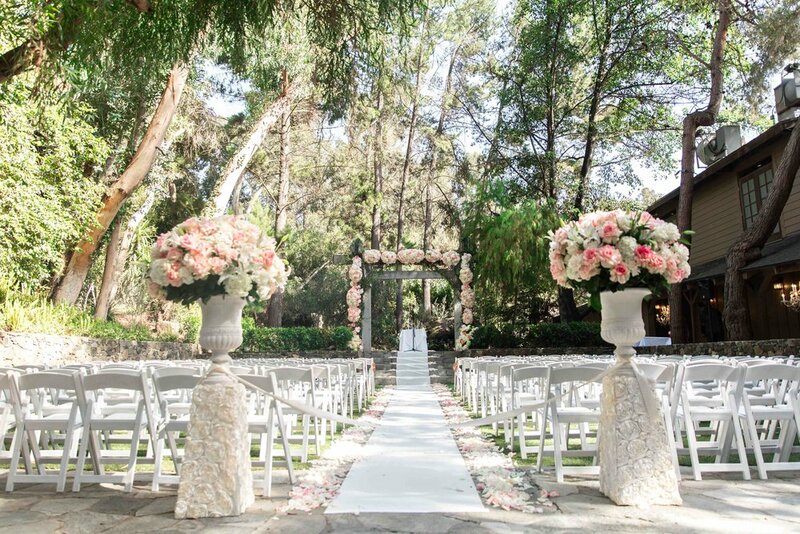 Finding their dream space, Itzel and Andrew chose to have an outdoor ceremony at the Bel-Air Bay Club. 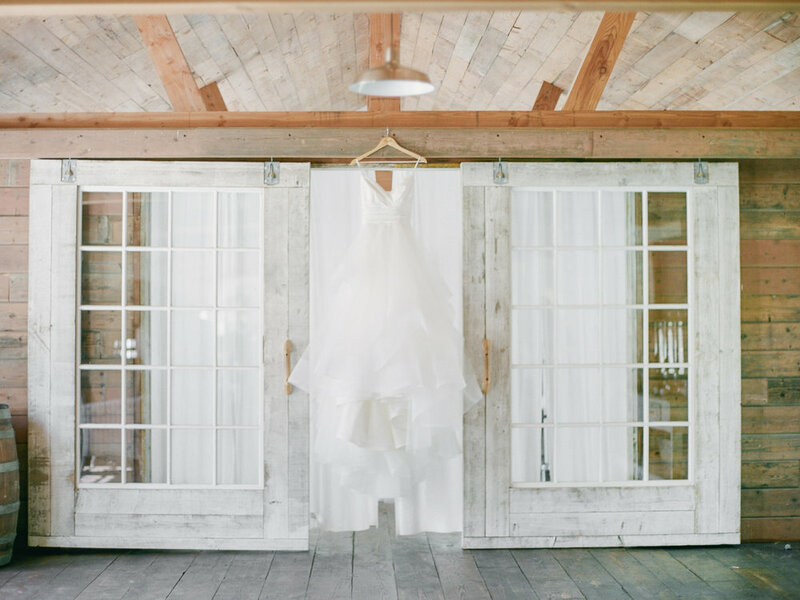 From the wooden arch, to the exchange of vows, every detail was flawless. 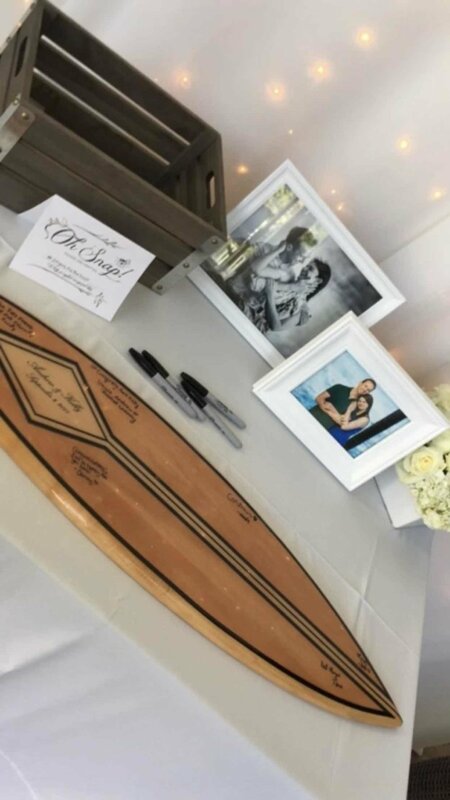 With the happiest of emotions in the air, friends and family shared memories of the couple over light drinks and hors d'oeuvres. 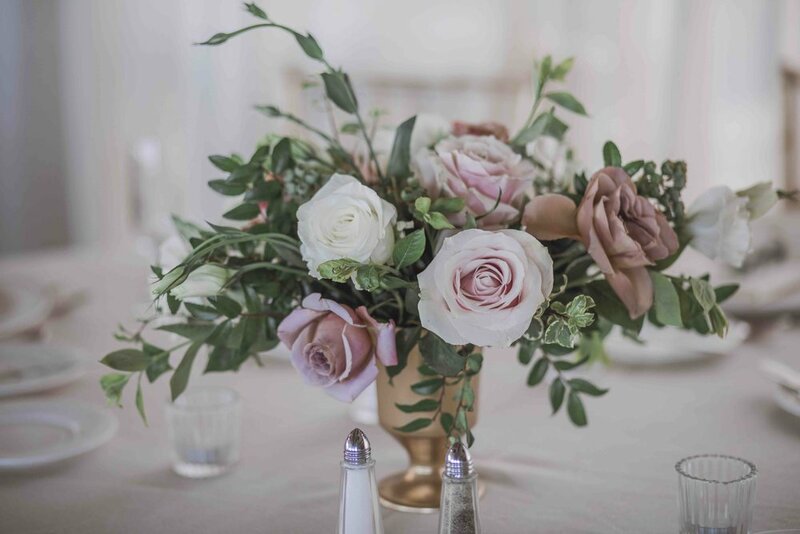 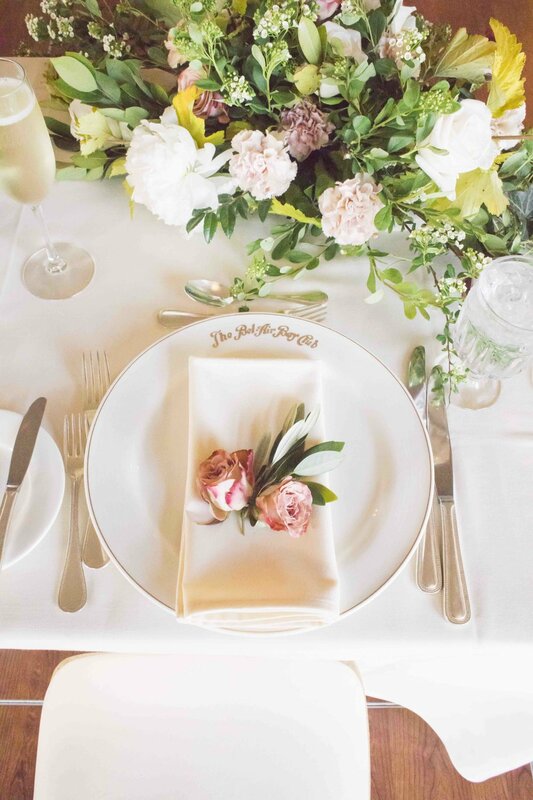 As the main course was on its way out, guests found their seats amongst beautifully decorated details, embellished with spectacular floral arrangements. 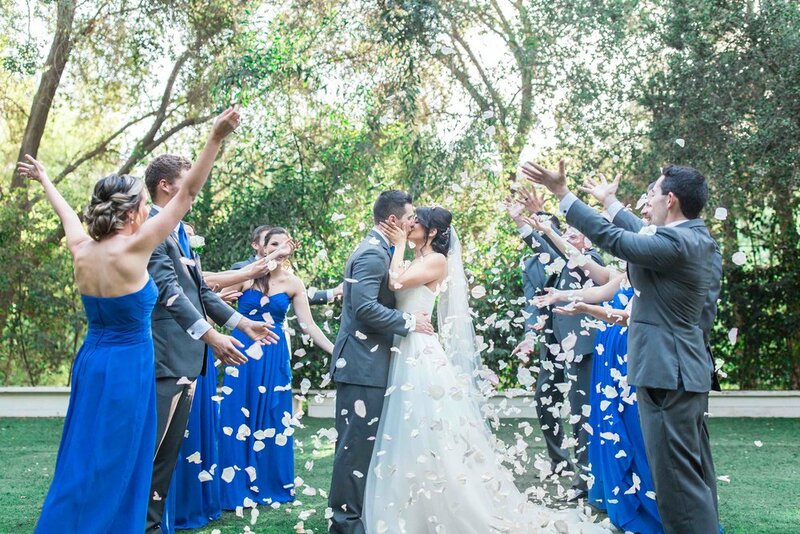 This summer day could not have been more ideal for Itzel and Andrew's romantic wedding! 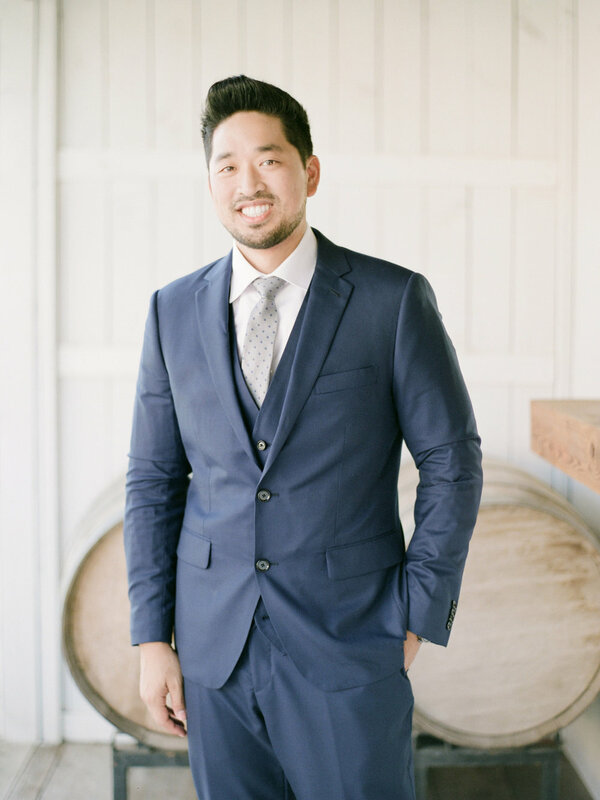 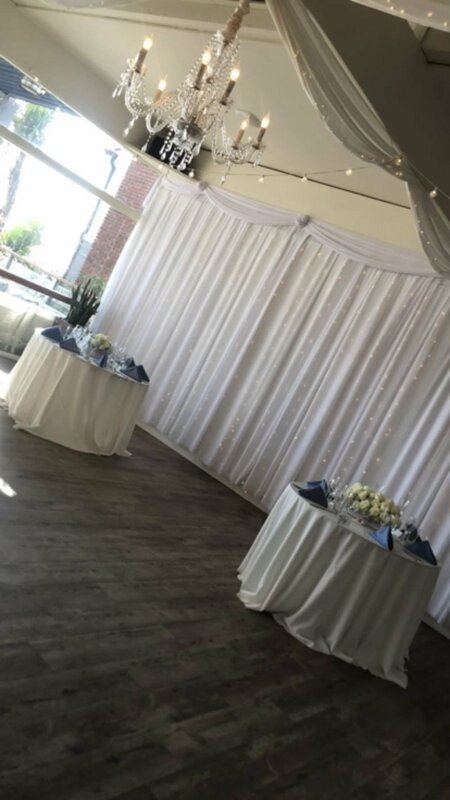 Valet: Quality Parking Service Inc.
Pip and Andrew planned their dreamy wedding day at the Los Angeles River Center and Gardens. 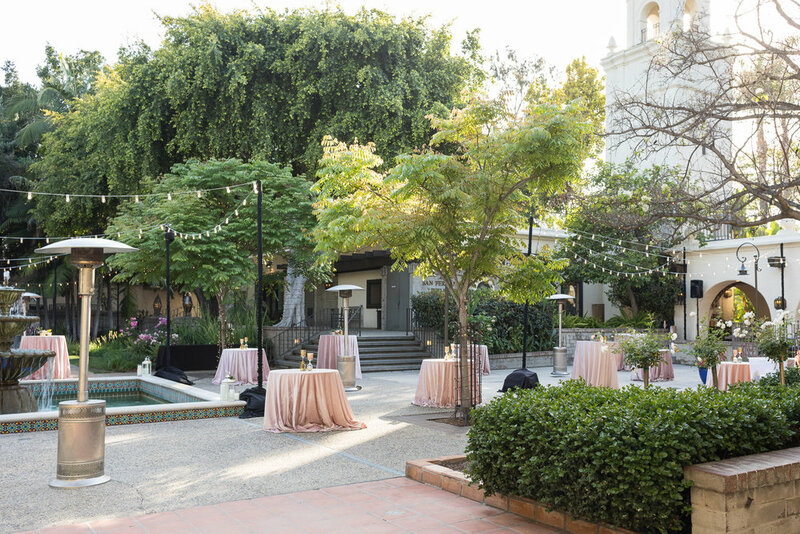 A private ceremony on the San Fernando Courtyard combined natural and rustic themes. 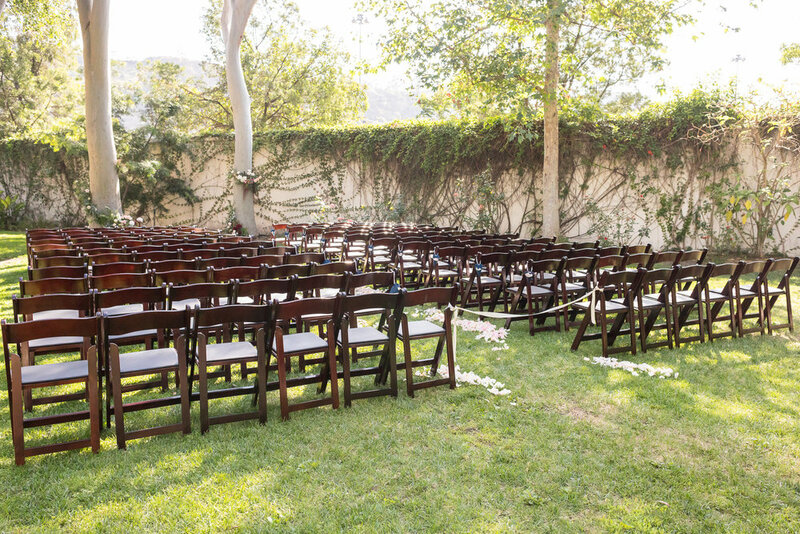 Dark wooden chairs and fresh petals along the aisle way, added gorgeous color to the freshly manicured lawns. 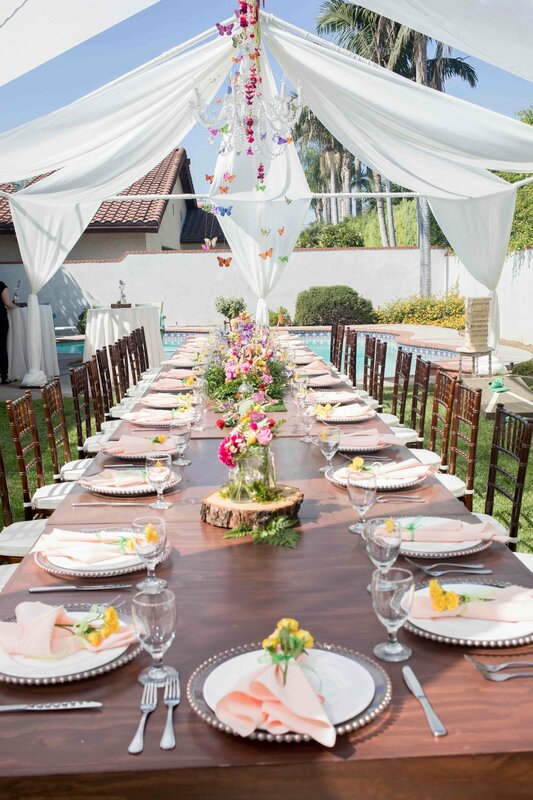 After the two said "I Do", close ones to the bride and groom gathered around for some lawn games and light appetizers. 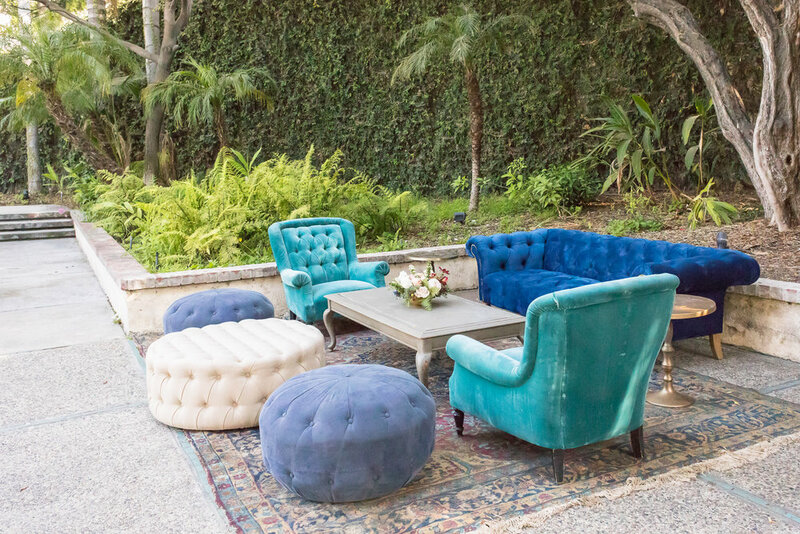 As the time came for dinner, guests made their way to the main courtyard. 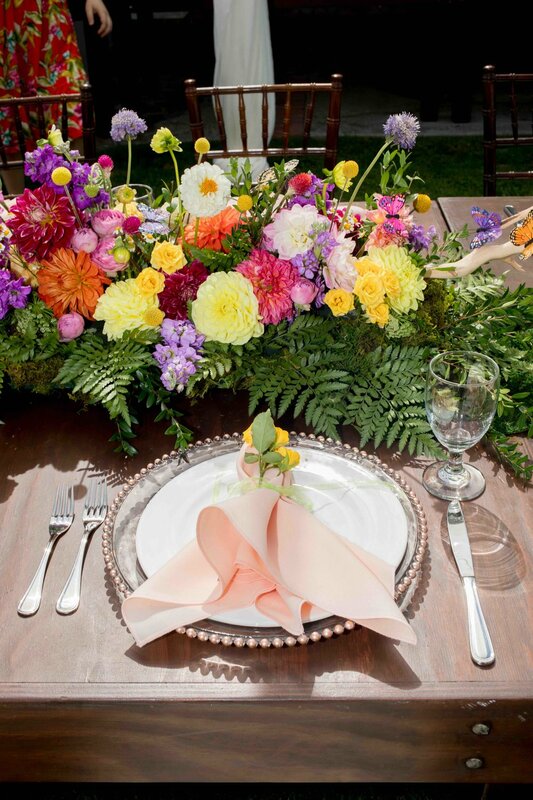 Combined with vibrant blooms and gold details, this mix and match array of outdoor furniture was beautifully accented. 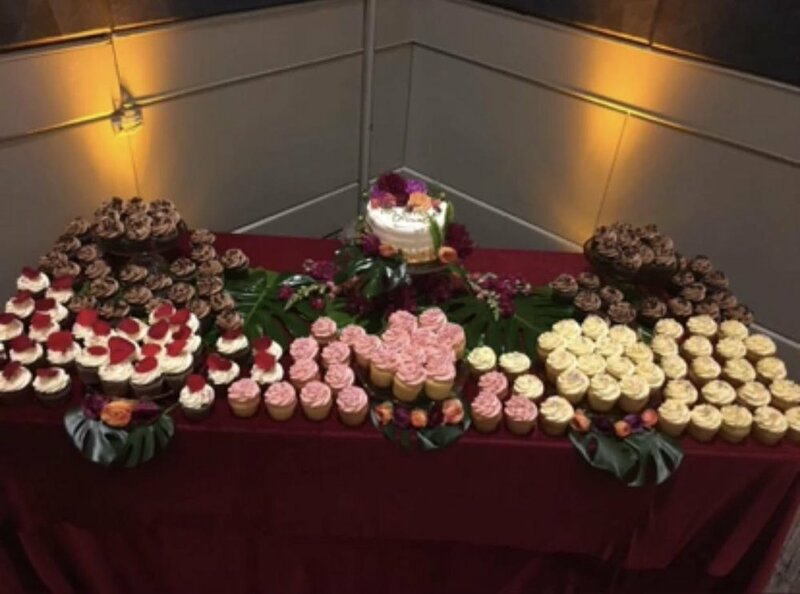 To top off the night, guests were able to fill up on their sweet tooth cravings with mini cupcakes from Half Baked Co! 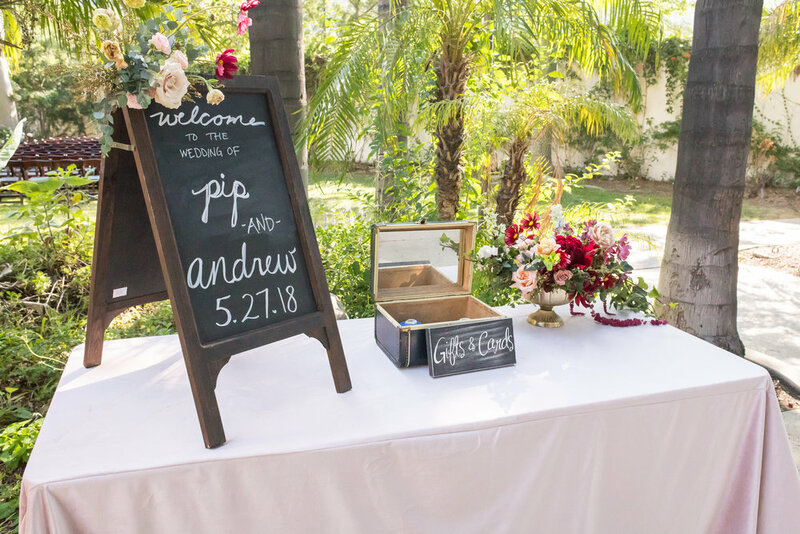 A lovely day it was, we are so excited for Pip and Andrew! 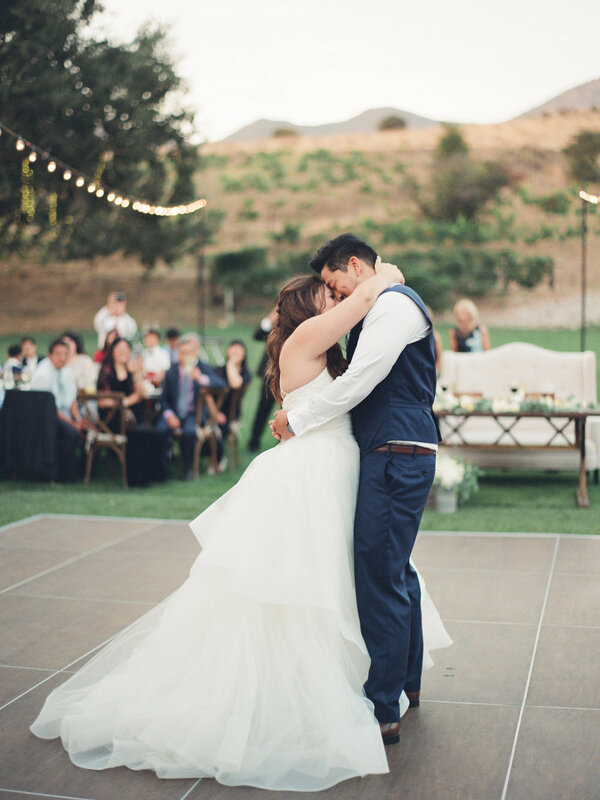 On the day of their nuptials, Julie & Daniel wed in an outdoor ceremony with amphitheater seating. 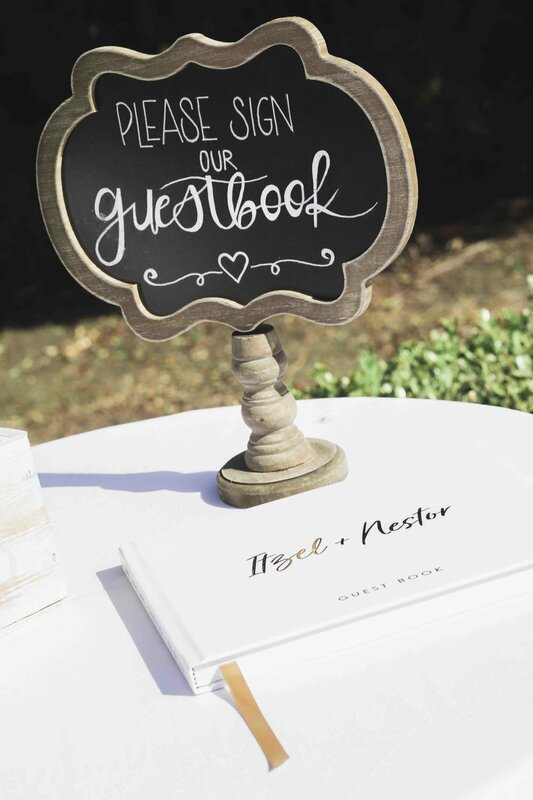 After the beautiful exchange of vows, hand written signage, welcomed guests to light appetizers and drinks. 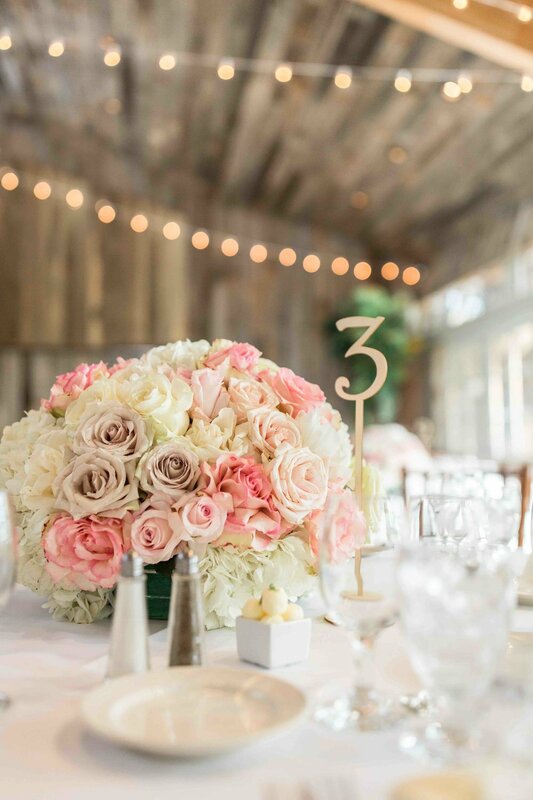 Woodsy decorations enhanced the venues warmth and charm, as did the rustic glower centerpieces with vibrant blooms. 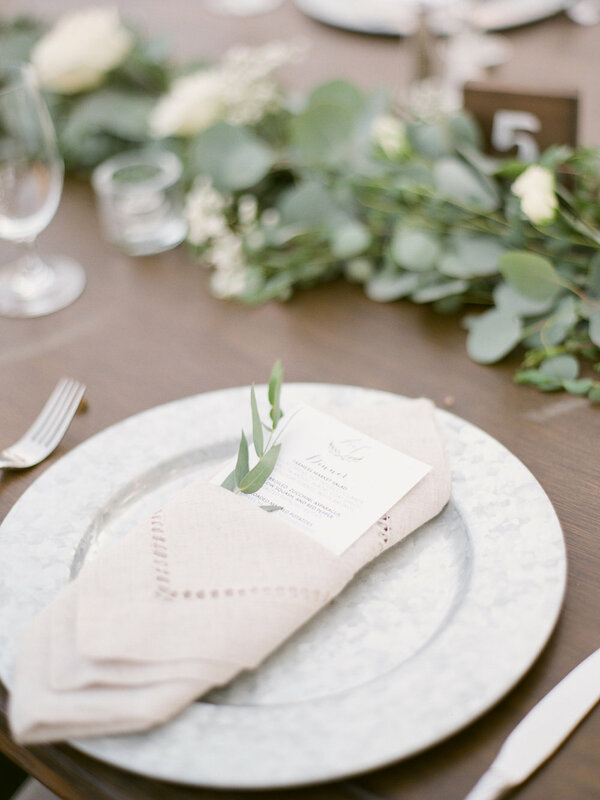 Picked out by the bride and groom, this stylish reception and delicious cuisine were absolutely divine. 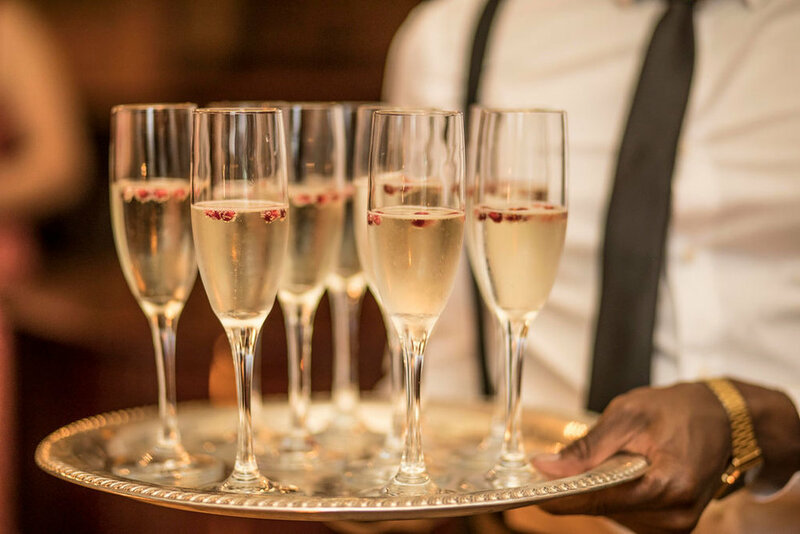 Cheers to Julie and Daniel and their amazing future together! 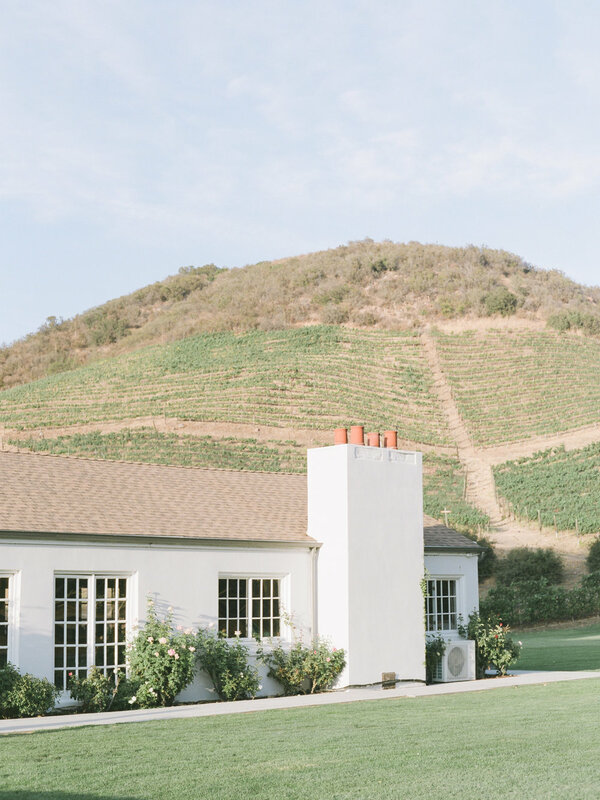 Stephanie and Matthew were married in Pacific Palisades, Ca at the Bel-Air Bay Club. 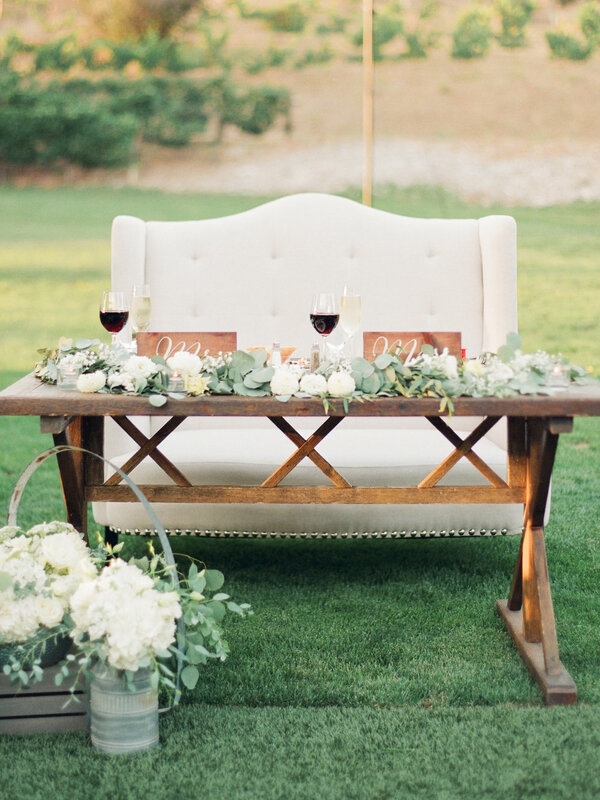 On beautifully manicured lawns, this outdoor ceremony created a lovely setting. 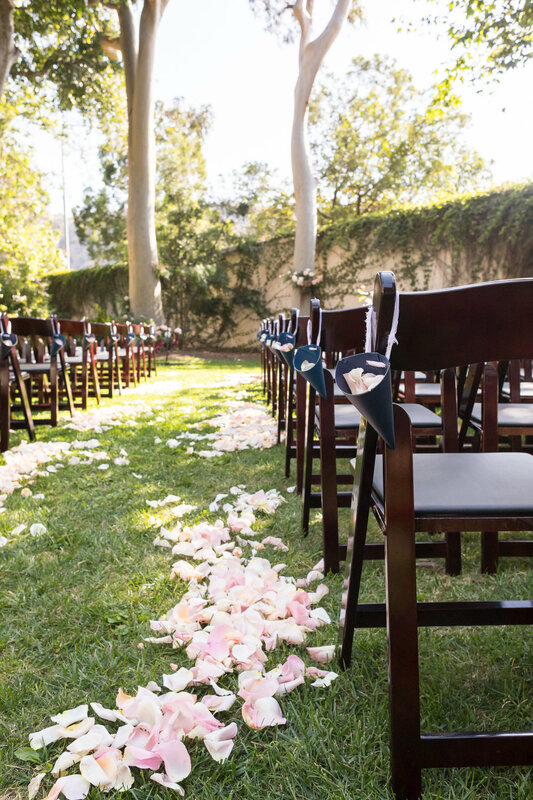 Rose petals lined the pathway for the stunning bride to meet her handsome husband-to-be. 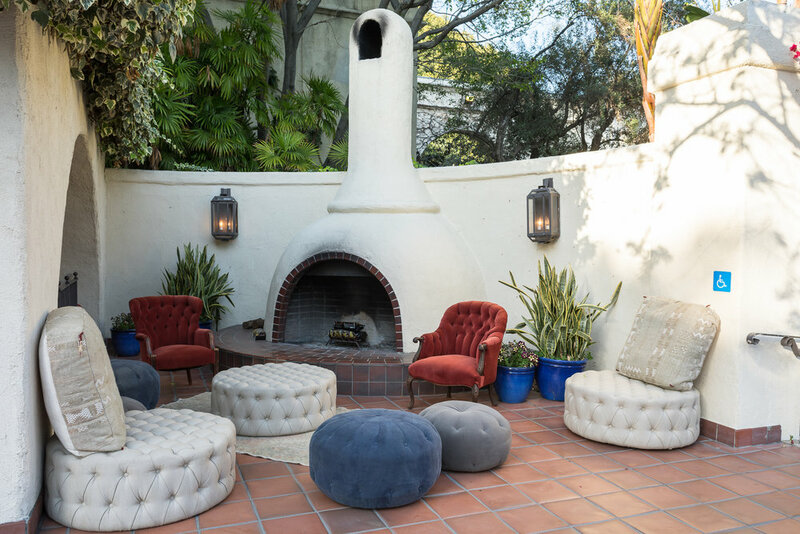 Guests mingled over cocktails and enjoyed gorgeous views from the patio. 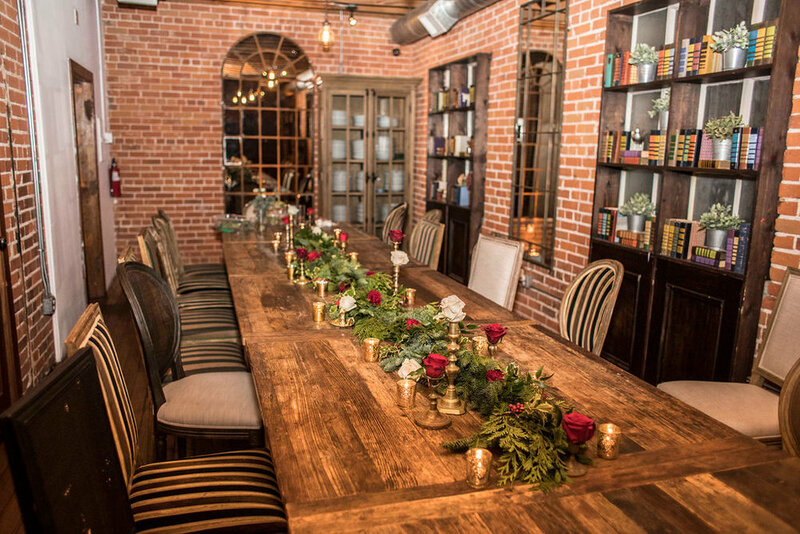 The dining space consisted of clear votives and pillars in hurricanes on a bed of greenery. 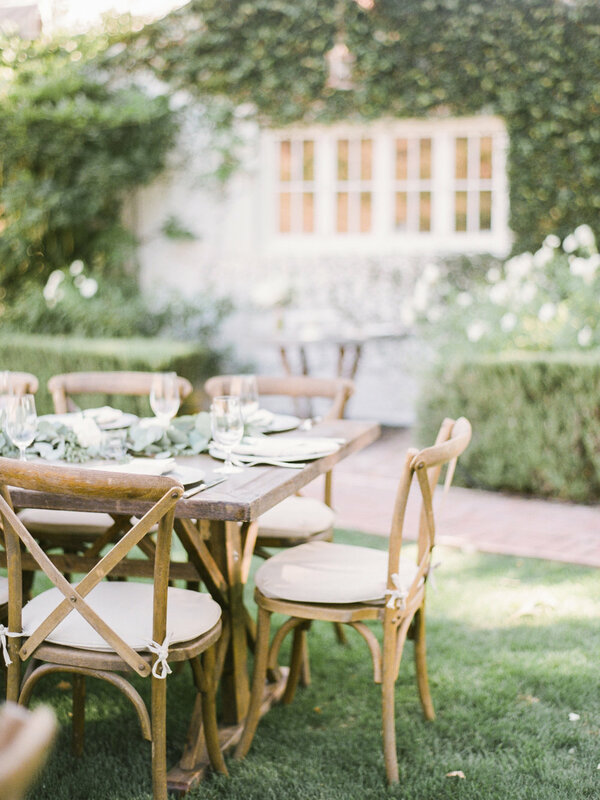 Accenting the tablescape, greenery hung from the chandelier. 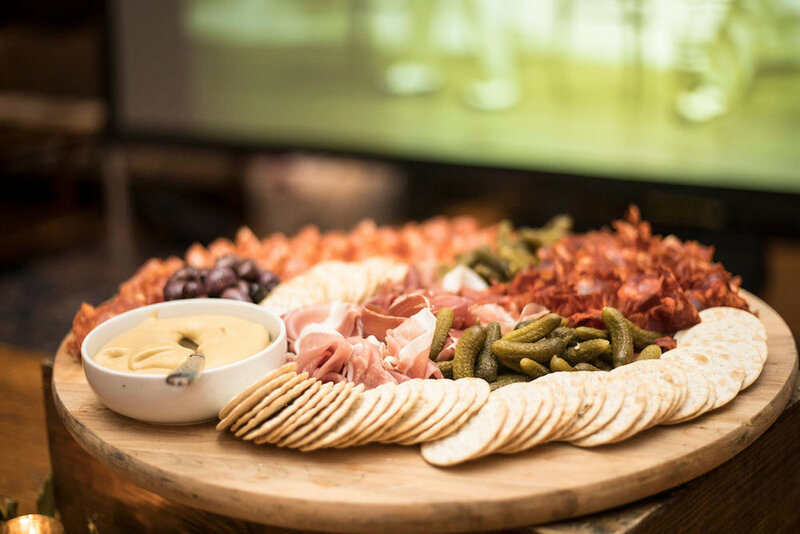 Guests savored on innovative dishes, as well as, a dessert and cappuccino bar. 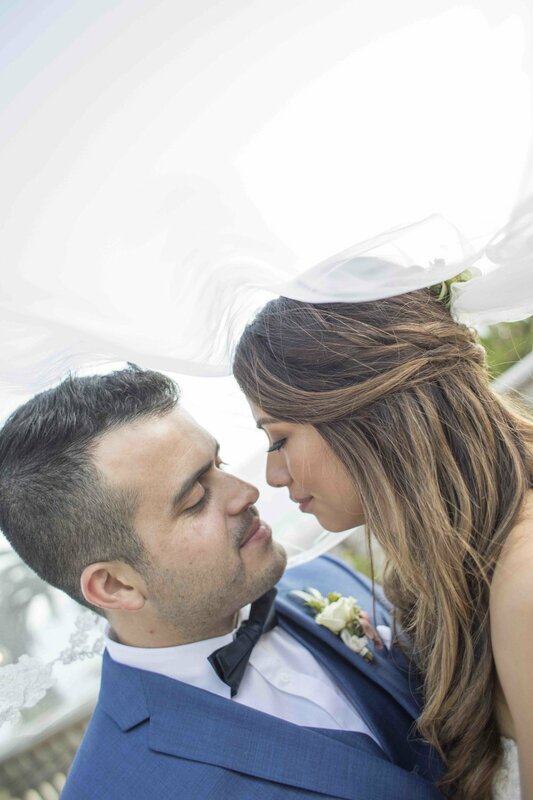 Unforgettable memories made together, the wedding of Stephanie and Matthew was absolutely wonderful! 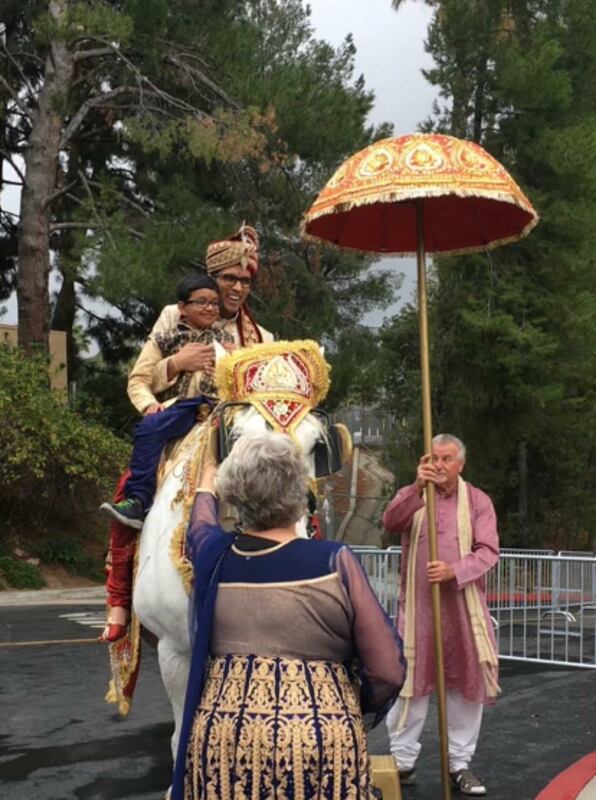 Kavita and Kiran were married at Hilton Universal on March 10, in Los Angeles, Ca. 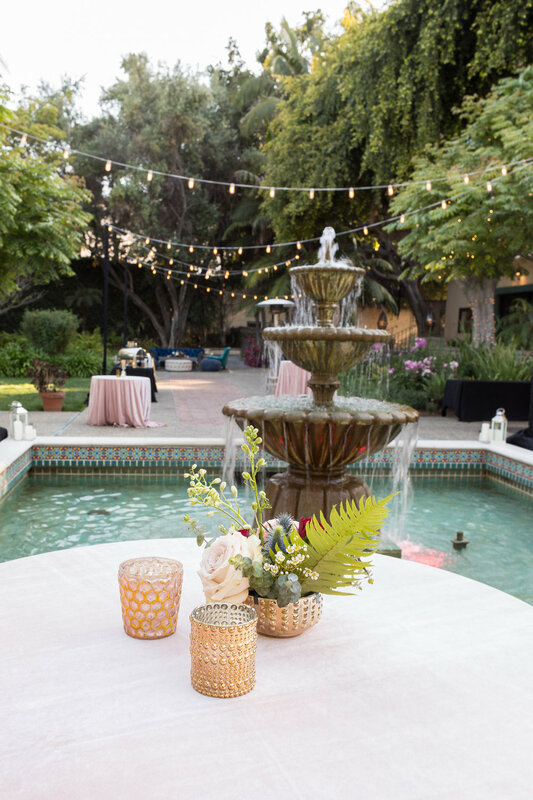 As ambient music played during the cocktail hour, guests enjoyed appetizers and the couple's signature drink, a Moscow Mule. 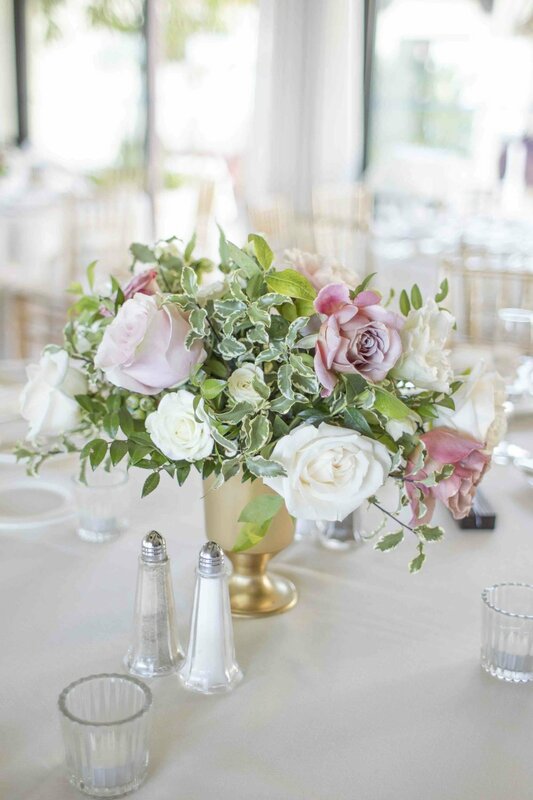 Taking a step inside the reception hall, glass hurricanes vases were filled with tall leaf centerpieces, set on gold mirror trays. 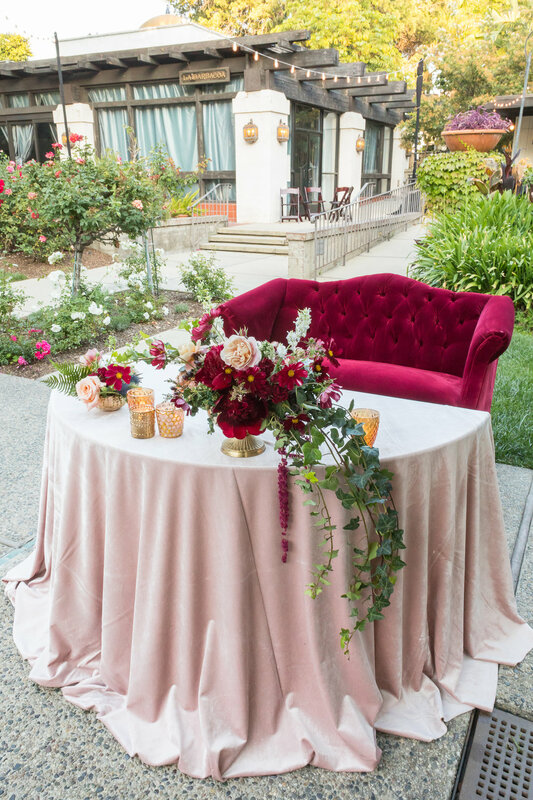 Accenting the tables, fern leaves were laid on each napkin and placed together with Burgundy chiffon ties, making for lovely decor. 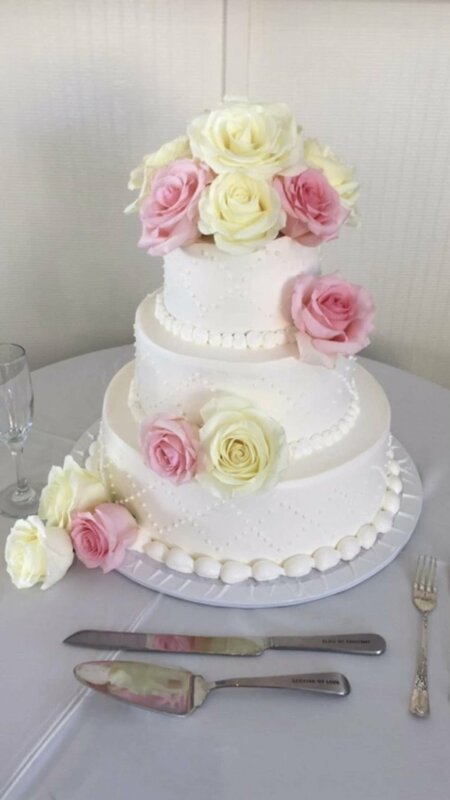 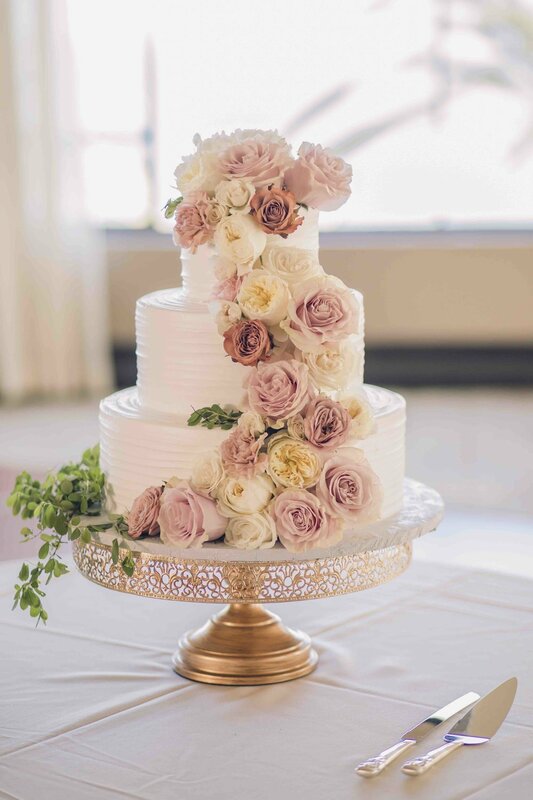 From the grand entrance to the fresh and flavorful cake, this wedding covered every detail imaginable. 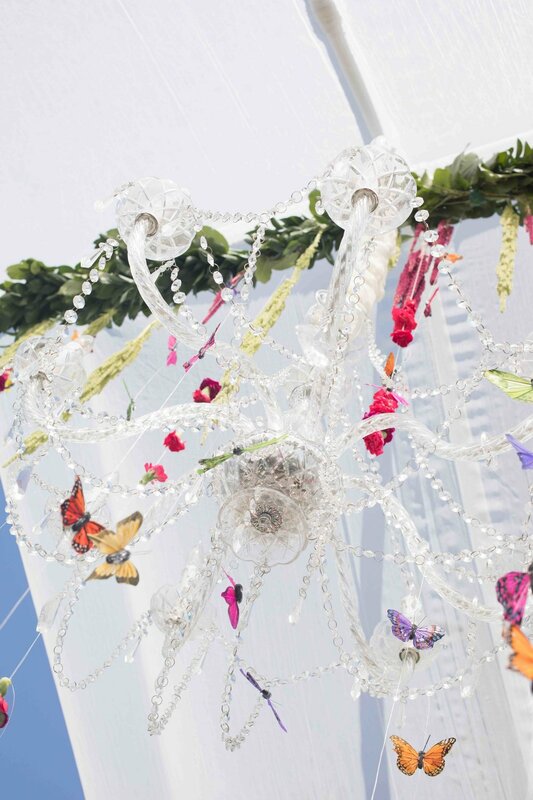 A magical day it was, we loved celebrating Kavita and Kiran's wedding together! 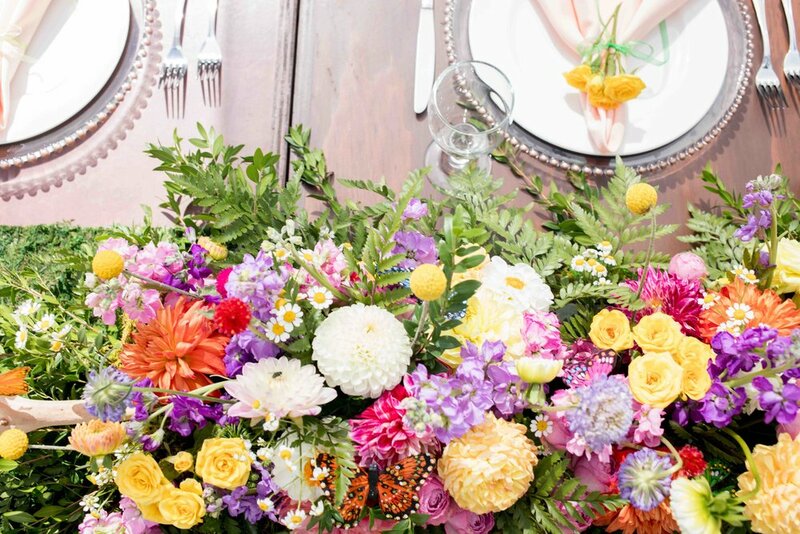 Planning a party is fun for all involved! 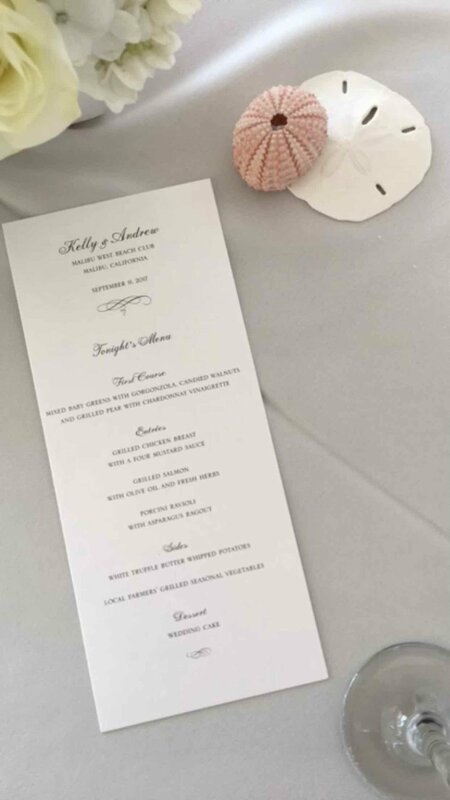 On this day in particular, Chely the guest of honour, was ecstatic to be surrounded by family and friends for her surprise party. 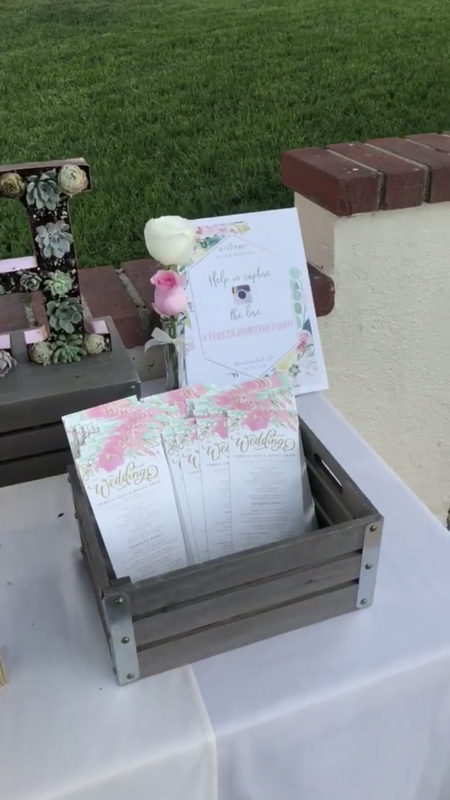 To help ensure the secrecy of this surprise, So Smitten Special Events coordinated the birthday party for Chely. 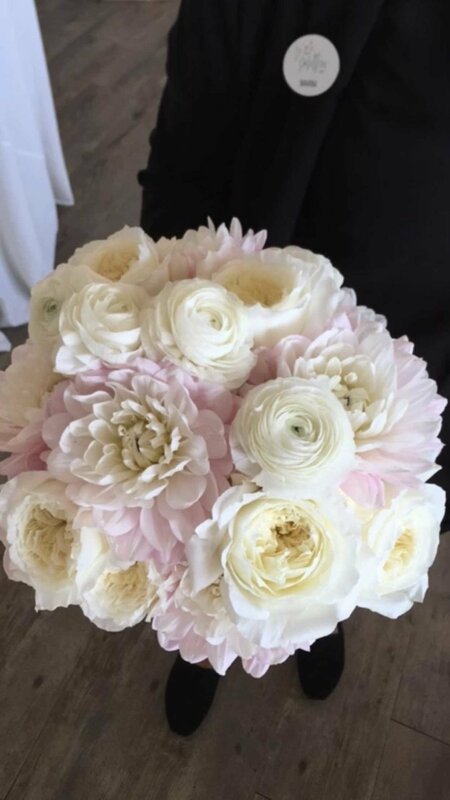 Helping to plan the day allowed time for family and friends to be with Chely AND not spoil the surprise! 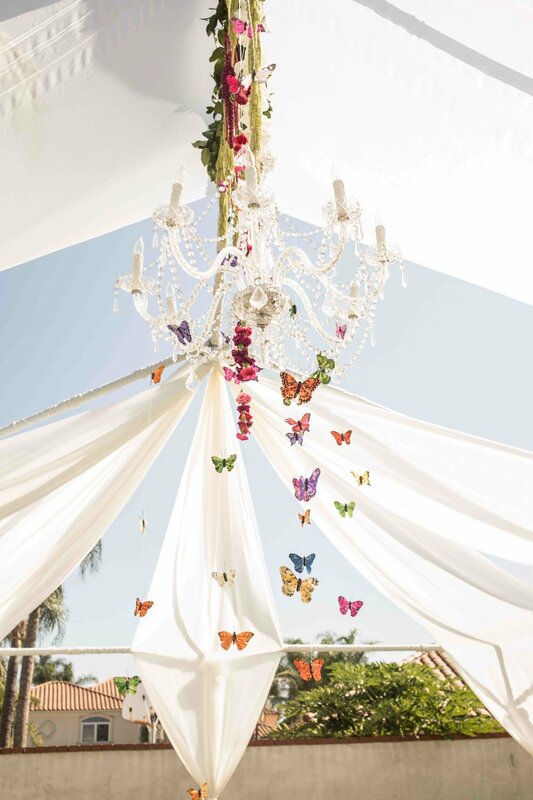 The white tent was the perfect backdrop featuring butterflies suspended from chandeliers over the beautifully decorated tables. 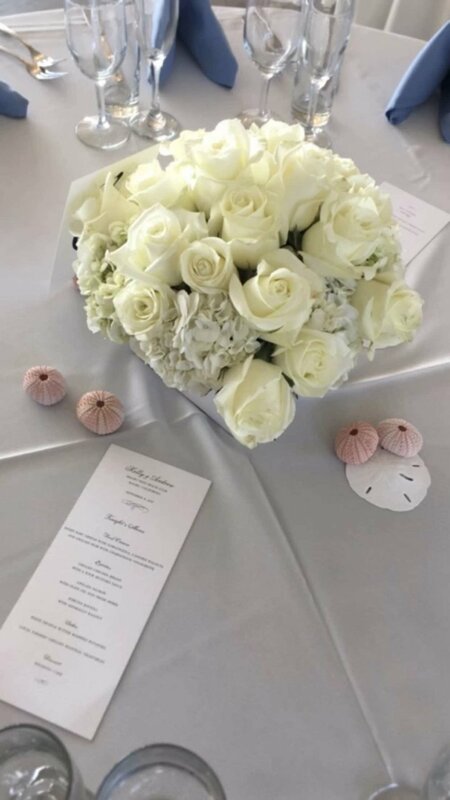 From the behind the scenes planning, to the moment Chely was surprised, it was a lovely birthday celebration! 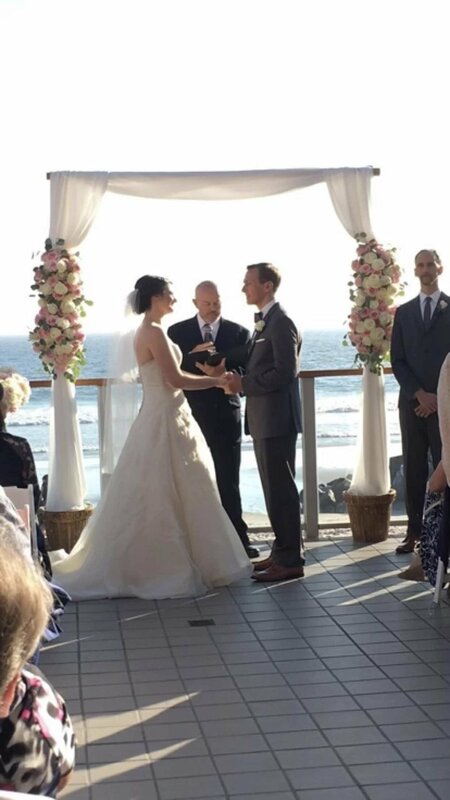 It was the beginning of forever, as Kelly and Andrew recited their vows to one another. 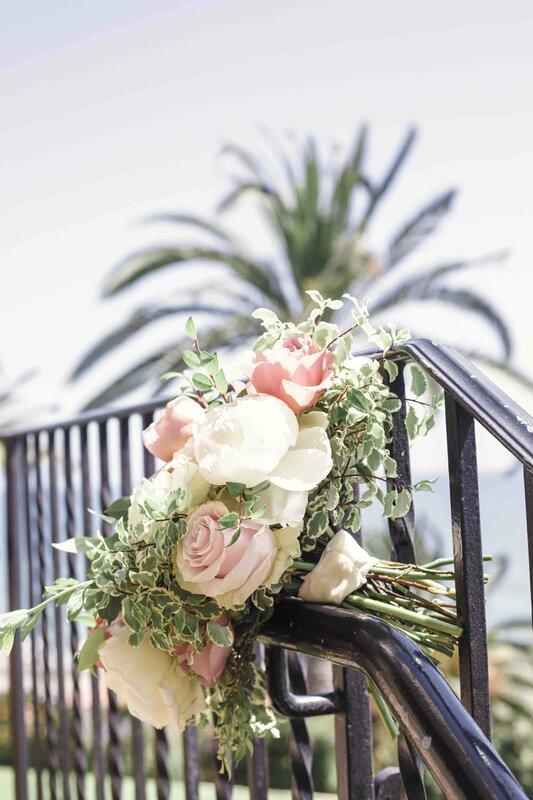 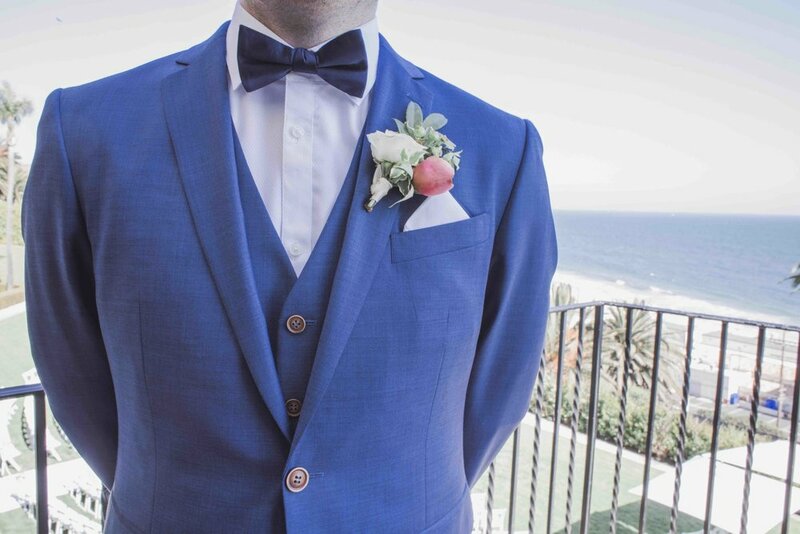 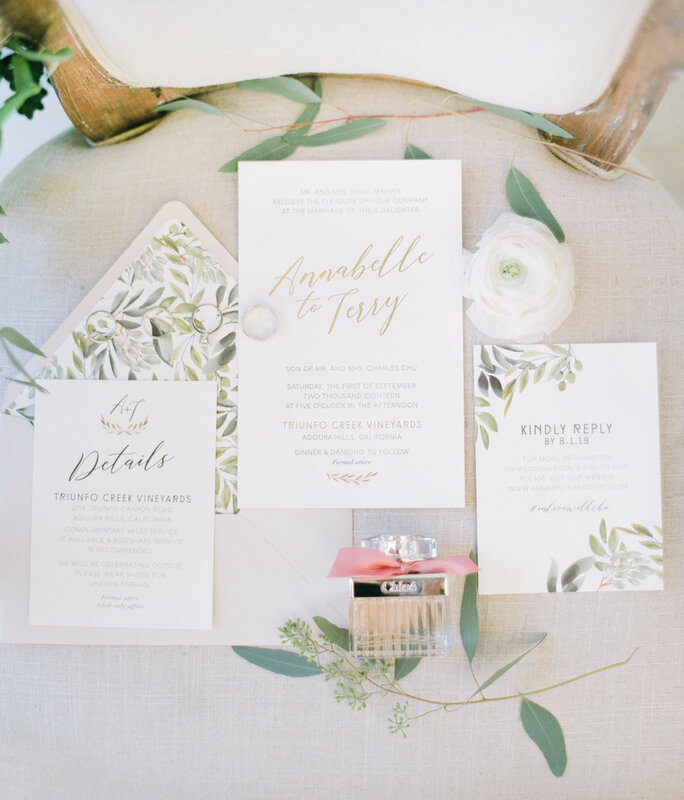 With an open-air venue, Malibu West Beach Club was elegant and romantic, just what the couple had dreamt of. 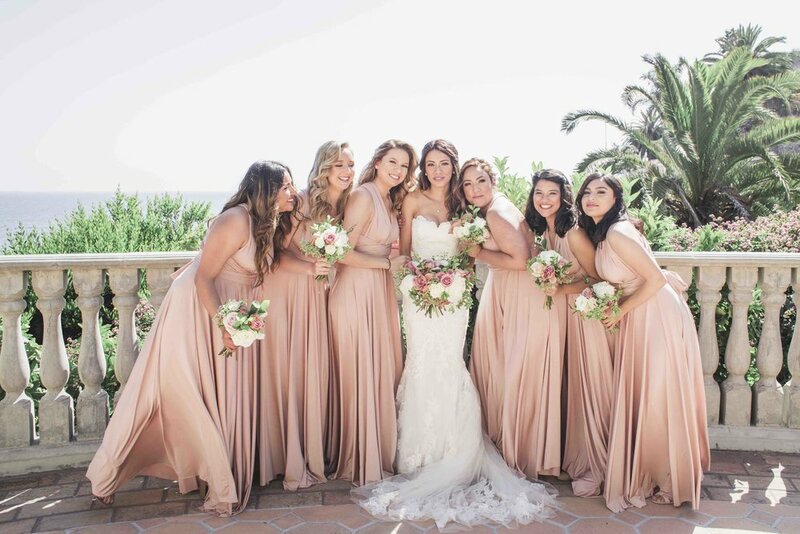 Smooth sand and blue skies set the tone, while shades of pink were evident throughout the decor. 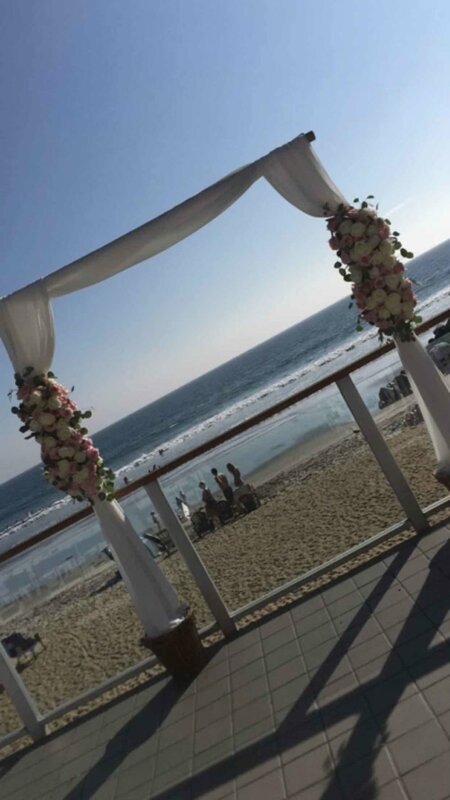 With the beautiful background of the ocean, Kelly and Andrew's wedding was the start to a magical future!